My name is Kevin B. Gibbs, and I have been serving Southern California residents with representation and counsel in the field of family law since I graduated from the Western State University College of Law with my juris doctorate in 1993. For the past 25 years, I have only focused on legal matters involving family law and divorce. Because of my dedication to this area, I pursued my board certification in 2001. Now, I am certified as a family law specialist by the California State Bar's Board of Legal Specialization. To be certified, a lawyer must pass a written exam and also demonstrate experience in trials, hearings, and appeals in a wide range of family law matters. Fewer than 10% family law attorneys in California have met the certification requirements of the state bar. Certification is your assurance of a lawyer's legal knowledge and experience. Only lawyers who are certified have the right to call themselves specialists in their legal field. I am on the board of directors at the Center for Individual and Family Therapy and served as president of the Western State College of Law Alumni Association from 1999 to 2000. I currently serve as an adjunct professor at the graduate program of the California School of Forensic Studies. I have provided expert testimony in court, published cases, provided seminar lectures for continuing legal education conferences, and served as a court-appointed special master regarding family law issues. 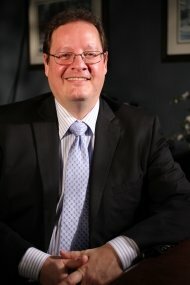 Because I have dedicated my career to serving men and women who face complex and challenging divorce and family law disputes in the state of California, I am confident that I have the ability and preparation necessary to help you resolve your case with the least amount of stress possible. Look no further - secure the representation you deserve! Contact Kevin B. Gibbs, APLC to schedule a free case evaluation.